The goal of this chapter is to discuss the role of subsistence entrepreneurship in the society. Increasingly both business and government are focusing at low-income consumers and the role they play in the innovation process. This has meant greater emphasis has been given to understand the role of these consumers who are called ‘subsistence consumers’ because they live at the bottom of the pyramid and exist on low income and wages. This chapter discusses subsistence consumers in terms of how they can be innovative and also the importance that collaboration plays in achieving social goals. 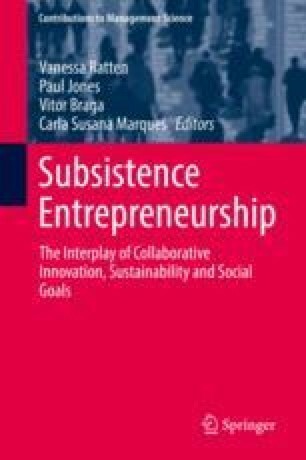 Managerial and social implications are discussed in terms of how business can harness the collective power of subsistence entrepreneurs in order to create a better global community.